Louise Sims Papercrafter: Christmas in August . . . ! Christmas in August . . . ! Yep, I've caught the bug too . . . I have seen some brilliant Christmas cards on peoples blogs recently & this has spurred me on to start making a few before Christmas arrives ! I have used a Elzybells stamp that I bought last year but it was too late to use it on my Christmas cards, so I'm using it now ! ! ! Its a fab image & brilliant to colour. Papertake Weekly Challenge - fab sketch which was a treat to use - this one is printed off & already in my "sketch" scrapbook to use another day. I have stuck to Colour Creates colour challenge this week & therefore my figures are only coloured in ruby! . . . well . . . except the lads shoes . . . they didn't look right as red! The other papers & card used have been over stamped with a gorgeous snowflake stamp (again from Elzybells) & then lots of chalking & inking. in shades of "ruby" The large snowflake has been cut out & mounted with a gold star brad which fits perfectly in the centre. Finally the sentiment reads "From our house to yours". Hope everyone is having a great Bank Holiday Monday . . the weather is perfect here & we have had a BBQ with visiting family. Great day but I am now feeling shattered. My 2 year old nephew is a human tornado . . . runs at speed, laughs constantly & never, never stops for a second! He's a treasure really but as my youngest is 11, getting uset to a toddler with curiosity to burn, has sure sworn me out! Off to relax in front of the box now . . . . This is gorgeous Lulu, really christmassy. Love that little stamp and the snowflake background is perfect. Wonderful Christmas card...such a sweet image and lovely colours. Gorgeous card, I love the colour combo. Thanks for joining us at SSC. So cute! Love that image! I am a huge Elzy fan. Thanks for playing. This is just beautiful Lou! The image is so cute - Love it! The stamped background looks awesome! This is so beautiful Lou. A brilliant image for Christmas - weel done for sticking to the colours on that! Love the snowflake paper. Thanks for sharing your card with us. Thank you for joining the Colour Create Challenge. Lou, This is a very cute card!!! Love those little stick figures type people.. Thank you for joining the Colour Create Challenge. Gorgeous card....love the image and papers. Lovely Christmas card - the snowflake background is fab and the image is very cute - love it! Awesome Christmas card, love the stamp! Ohhhh Lou this is gorgeous, love the papers colours and image. Thanks for joining us this week at SSC. Thanks so much for joining us at Stamptacular this week! Hope to see you again soon! I do like this! It's on my Elzybells wish list....!! This is fab, I absolutely adore the colour you have used!! 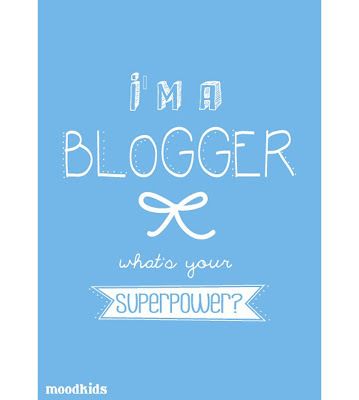 Please can you contact me at justdivine@live.co.uk to discuss doing a feature on your blog.